Black top hat extracts local minima that are smaller than the structuring element. It subtracts the background from the input image. The output of the filter transforms the black valleys into white peaks. Definition at line 42 of file itkBlackTopHatImageFilter.h. Definition at line 55 of file itkBlackTopHatImageFilter.h. Definition at line 62 of file itkBlackTopHatImageFilter.h. Definition at line 56 of file itkBlackTopHatImageFilter.h. Definition at line 49 of file itkBlackTopHatImageFilter.h. Definition at line 50 of file itkBlackTopHatImageFilter.h. Definition at line 88 of file itkBlackTopHatImageFilter.h. Definition at line 114 of file itkBlackTopHatImageFilter.h. Definition at line 116 of file itkBlackTopHatImageFilter.h. Definition at line 112 of file itkBlackTopHatImageFilter.h. 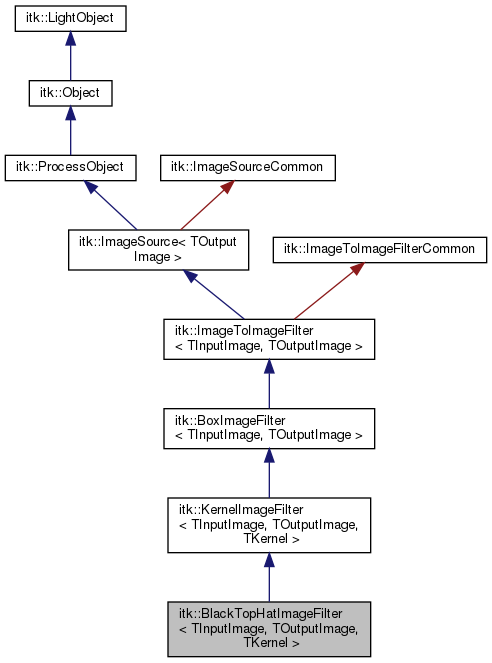 Definition at line 71 of file itkBlackTopHatImageFilter.h.